On this page you will find news items relating to our past, current and future activities, so please check this page regularly to keep up to date. Club members enjoyed another entertaining evening with some great entries for the "Talking" topic for this month's competition, despite the fact that this might not have been a very easy subject for a photography contest. All present agreed that Keith Pointon's image entitled "But he should stand here" was, by far, the best on the night. Many congratulations to him and hopefully his winning streak will continue when the results of the Ludlow Seven Exhibition are tallied up. You can see other entries from the "Talking" competition in our Gallery. A wide variety of images on the theme of "Abstract" was evident at this month's Club meeting, but it was new member Rebecca Reynolds' beautiful image titled "Norwegian Coast Lines" (left) that took the honours. Very well done Rebecca. As always, you can see some more images from this month's contest in our Gallery. Club members could not wait for the twelfth day of Christmas and held their first meeting of the New Year on the 4th January, eager to get back into the competitive spirit. A number of interesting and varied images were submitted on the theme of "Something beginning with T", but it was Antony Williams' fine image of a tattoo that took the day. Well done Antony. You can see more images from this contest in our Gallery. The next meeting will be on Friday 1st February, when the theme will be "Abstract". The Club always welcomes new members whatever your level of ability, so if you would like to come and see what we get up to please contact us. Club members held their Christmas dinner and Picture of the Year competition at the Burton Hotel on the 14th December, kindly judged by former member and professional photographer Les Jarrett. 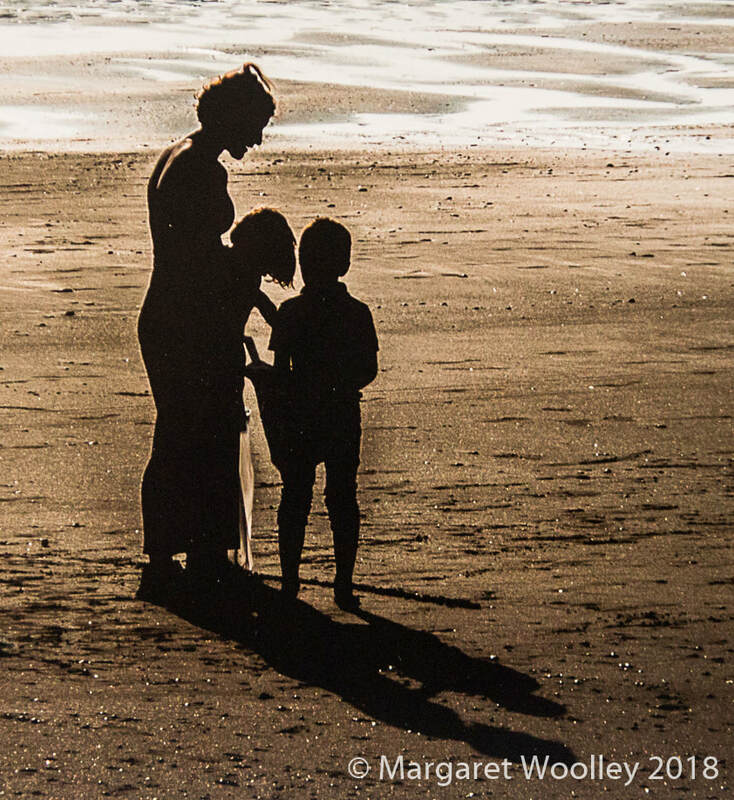 Entrants submitted three images each from their 2018 portfolios and Les took all three images into account before deciding on the overall winner, Margaret Woolley. 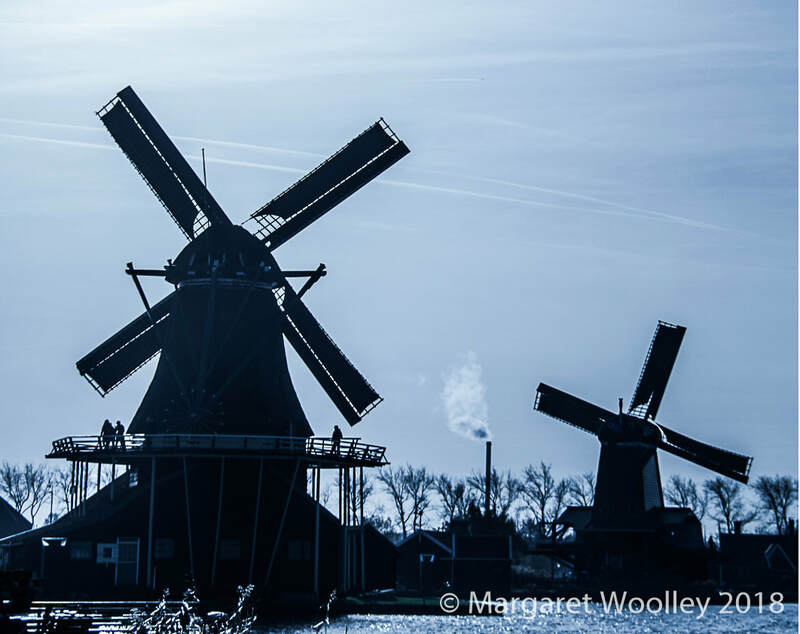 Her winning entries "Four Faults", "Mother and Children" and "Zaans Schans" can be seen above. It was a good evening for Margaret, who also shared the Club Photographer of the Year award with member Antony Williams for taking the most highly rated images over the Club's bimonthly competitions in 2018. A small but hardy group of members braved the appalling weather outside and reached the warmth and safety of the Burton Hotel in Kington in order to hold their monthly contest on the subject of "Action" and to discuss Christmas and the year ahead. Member Antony Williams took the crown with his charming print "Jump" (left), that is simply bursting with life and vitality. Well done Antony. This year's Christmas dinner and annual contest will take place at the Burton Hotel on Friday 14th December. Next year's programme is already taking shape and details will be published on this site in a week or two once they have been fully agreed. However, it is likely that there will once again be a monthly Club competition and that meetings will be held on the first Friday of each month, so please watch this space. The Club always welcomes new members whatever your level of ability, so if you would like to come and see what we get up to please contact us. ​Visitors to the Club's Summer Exhibition at the Burton Hotel in Kington this year were again invited to leave their comments and also vote for their favourite images. The visitors' names were then put into a hat and the lucky winner of the draw was presented with a mounted print of the image he or she liked the most. The picture to the right shows Ann Jones from Bredwardine with "Hay Bales at Clyro" by member Clive Clarke. You can still see some of the images from the Exhibition in our Gallery. We hope to hold a similar event next Summer and will announce the theme early next year, so please watch this space. 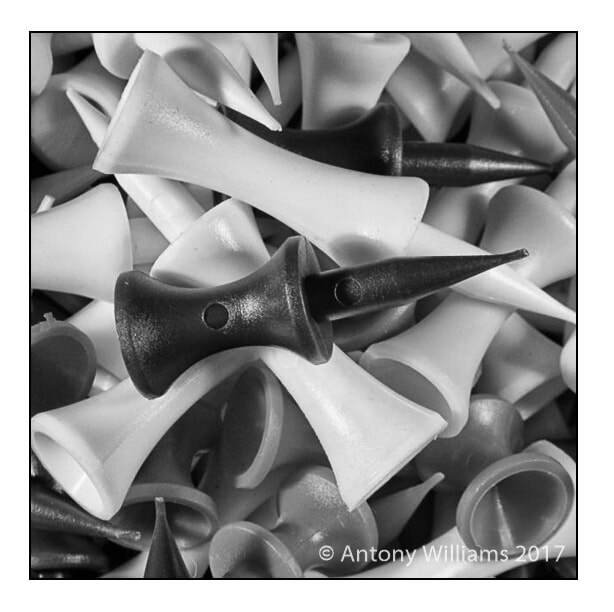 Despite the various temptations offered by the continuing fine weather, Border Monochrome Camera Club members assembled at their usual haunt of the Burton Hotel in Kington this month to compare their recent efforts at close-up and macro photography. The results were very close, but the night's honours went to member Margaret Woolley for her fine image of a feather (see left). You can see more of the entries on our Gallery. For the next two months members will be looking in depth at the subject of landscape photography. If you would like to take part in some of our activities then please contact us or come along to our regular monthly meetings, which are usually held at the Burton Hotel on the second Friday of each month. For the remainder of July and August the Club is also showing its summer exhibition at the Hotel. This year the subject is "The Countryside at Work", so please do drop in and take a look when you are passing through Kington. This month a sadly depleted Club membership gathered to compare the results of their efforts on the subject of Street Photography. All agreed that it was not an easy genre to work with and that it was necessary to conquer one's initial fears to do justice to the subject. Very few marks separated this month's entries, but in the end it was member Dainis Ozols who just took the honours with his image "A Spot of Lunch", shot near London's Carnaby Street. You can see further images from this month's contest in our Gallery. Also this month a few members travelled down to Port Talbot to attend the annual Only Monochrome competition staged by Cymru Monochrome. Some 42 clubs from across the UK had entered this year's contest and sadly we did not do as well as we had initially hoped. There is always next year though. 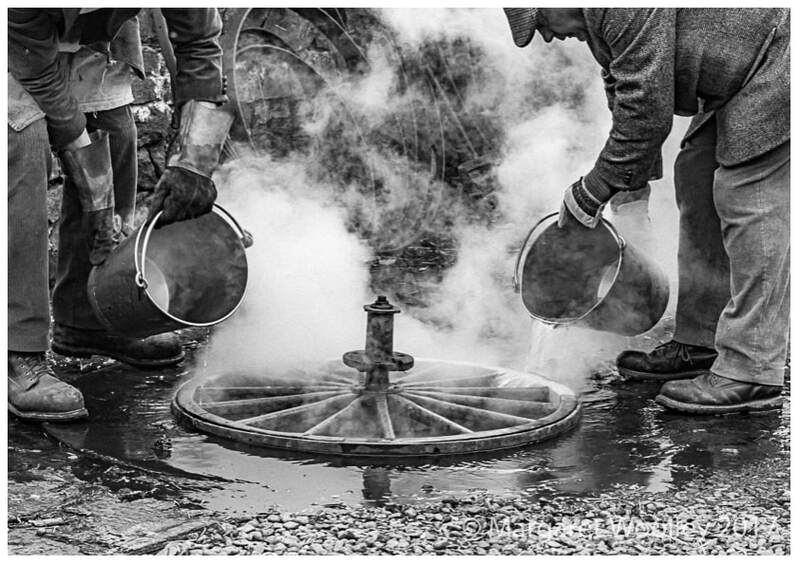 Well done to Cymru Monochrome for their work in organising this excellent contest and also to Inn Focus for winning with some truly excellent images. Club members have adopted a new system of meetings for this year. In February members met to discuss the subject of Creative Photography and looked at the work of a variety of professional and other very experienced photographers. Following this learning session members have been active in working on their own creations and this month's meeting revealed what a diverse range of ideas had been put into practice. Martin Connolly was the undisputed winner of this month's competition with his very well executed composition "Mirrored House" (see left). You can see other examples of our work in the Gallery. Next month we shall be looking at the subject of Street Photography and also related aspects of monochrome photography in general. Members will also be preparing entries for the major national Only Mono contest hosted by Cymru Monochrome in May and will contribute to an arts exhibition to be held at the Burton Hotel in Kington the same month. ​New members are always welcome. Please contact us if you wish to know more. Club members successfully held their Annual General Meeting on the 5th January and unanimously agreed some important changes to the Club's future programme of activities. With immediate effect the number of internal monthly competitions will be halved and the members will instead spend one month learning and undertaking practical sessions around a specific theme, then submit a print to a related competition the following month. Members will then fully evaluate and discuss the competition entries and assess what they have learned. It is anticipated that the regular Club meetings at the Burton Hotel will be supplemented by a variety of external visits and field trips to assist in the learning process. Please look at the Meetings page for more detailed information. This is an exciting change of direction for the Club and all members will contribute to this process. If you would like to take part please contact us for further information. Despite the threat of yet more snow, BMCC members and their guests ventured out to the ancient and comfortable rooms of the Olde Tavern in Kington to enjoy a Christmas dinner, followed by the adjudication of their annual print competition by Hereford-based photographer Gordon Taylor. The theme for this year was a triptych - three separate prints connected by a common theme. 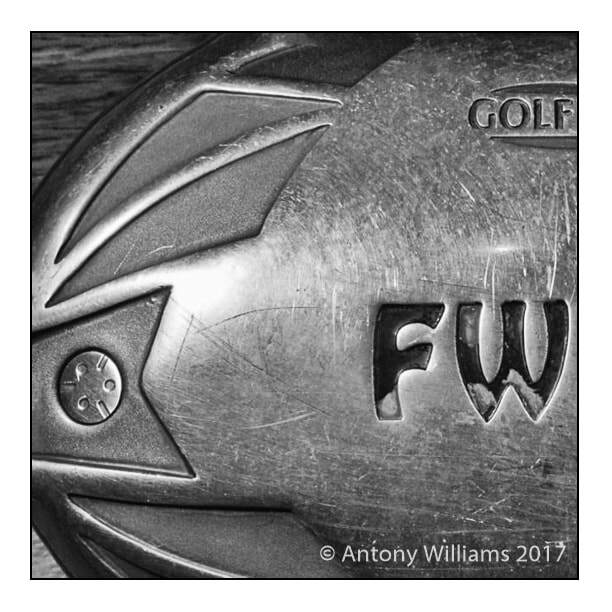 Members had chosen a wide variety of subjects for their entries, but it was Antony Williams' very well photographed and printed set of golfing images "A Good Walk Spoiled" that received Gordon's highest marks. At the same time Margaret Woolley was also accorded the title of Club Photographer of the Year for accumulating the most points from the Club's monthly contests over the course of the year. You can see some of Margaret's images from previous months further down this page and in our Gallery. Congratulations to both Antony and Margaret for their excellent work. The theme of "Wheels" produced a wide variety of interesting entries for this month's Club competition. Predictably for a rural club this included a good sprinkling of cartwheels as well as other round objects. However, it was Margaret Woolley's fine image of a cartwheel in the making that earned her fellow members' universal acclaim and the top slot this month. This was Margaret's second victory this year and it will be interesting to see who eventually takes the Club Photographer of the Year trophy when members assemble for their Christmas dinner on the 13th December. You will find some other images from this month's competition in our Gallery. The Border Monochrome Camera Club would like to take this opportunity to wish fellow photographers elsewhere and all our readers a very peaceful and happy Christmas and a prosperous New Year. 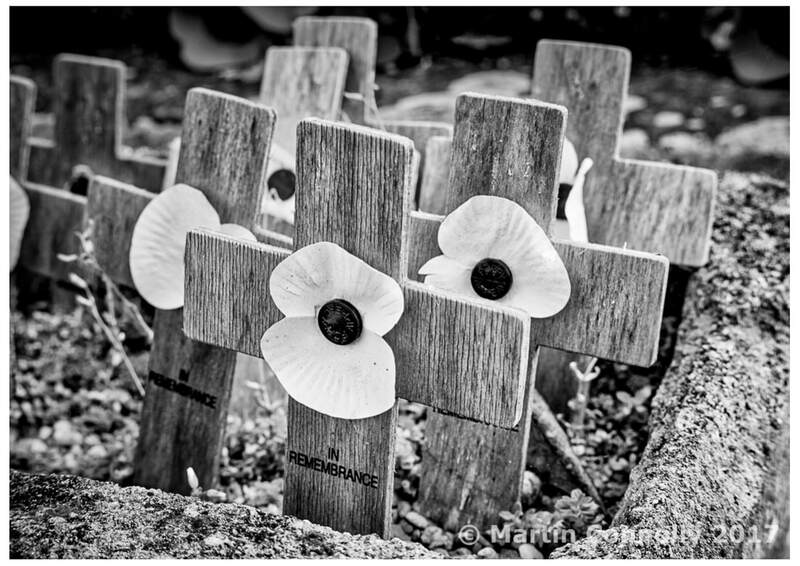 As befits this annual period of remembrance, this month's theme for the Club contest was "Not Forgotten". Despite some keen competition, the clear winner was Martin Connolly's "Faded Memories", on the right. You can see some of the other entries in our Gallery. Club members will be busy in the lead up to Christmas preparing their entries for the next Club night on the 1st December, when the theme will be "Wheels". Also, they will be considering their entries for the annual competition, which will be appraised by an independent judge following the Christmas dinner on the 13th December. This year the subject is a triptych, which requires three separate prints with a common theme or connection. ​The Club always welcomes new members whatever your level of ability, so if you would like to come and see what we get up to please contact us. Visitors to the Club's Summer Exhibition at the Burton Hotel in Kington this year were again invited to leave their comments and also vote for their favourite images. The visitors' names were then put into a hat and the lucky winner of the draw was presented with a copy of the image he liked the most. The picture to the left shows local man Steven Futcher with "Hare and Hound Corbel" by member Dainis Ozols. Dainis said: "Steven clearly has a lot of taste! This charming sculpture looks like something from a Disney film, but it is actually an original 12th century corbel to be found at the beautiful Church of St. Mary and St. David in Kilpeck, Herefordshire. I really recommend a visit there." You can see Steven's favourite image as well as several others from the Exhibition in our Gallery. We hope to hold a similar event next Summer and will announce the theme early next year, so please watch this space. This month also saw a return to a slightly more traditionally themed contest, when members vied with each other to produce the best "Still Life". This time it was Richard Williams' turn to take the honours with his beautifully composed and well-toned image that you can see on the right. You can see some of the other entries in our Gallery. It is now too late to view our Summer print exhibition in Kington, but we have also included some of the images on the theme of "Borders Heritage" in our Gallery. There was a good attendance at last month's Club of Clubs contest with Hay Camera Club and Builth Wells Photographic Club which was hosted by Border Monochrome. Judge Hayden Pugh paid tribute to the high quality of the combined entry, but sadly it was not to be our night, as Hay rightly took the top spot this year with a very strong entry indeed. It is always nice to see a member win their first monthly contest and this month it was finally Margaret Woolley's turn to take the honours. As you can see, her superb image of a lily was a worthy winner of the "High Key" theme. The other entries covered a wide diversity of subjects and you can view some of these on our Gallery page. Club members will be busy this month preparing images for the forthcoming Club of Clubs contest. This "friendly" annual print competition between the three local clubs BMCC, Hay Camera Club and Builth Wells Photographic Club is always keenly contested and the fact that BMCC will only submit monochrome entries has certainly not handicapped our Club in the past. The contest takes place at Llyswen Village Hall from 7pm on Tuesday 3rd October. The Club always welcomes new members. Please check our Meetings page for details about forthcoming events. If you wish to attend one of our meetings for the first time it would also be a good idea to send an enquiry via the Contact page first. 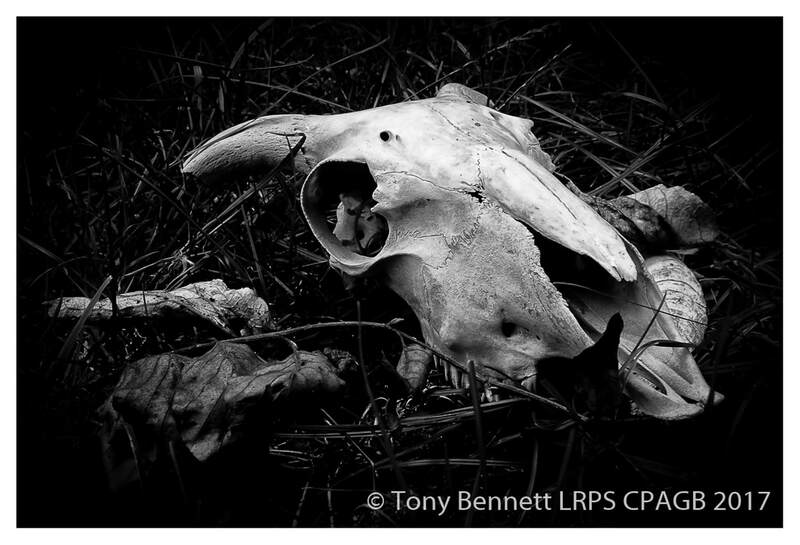 "Death and Decay" may not be at the top of everybody's list of favourite photographic themes, but it certainly proved to be a controversial one when the Club met this month. Did it mean both dead AND decaying, or was it dead OR decaying? Can buildings be said to be dead? However, these little controversies are what bring Club meetings to life and the diversity of images presented by members displayed a great deal of imagination. What was not in doubt was this month's clear winner, as Tony Bennett's "Lament for Larry" (please ask Tony) was almost impossible to fault. Please don't forget that our summer exhibition on the theme of "Borders Heritage" can still be viewed at the Burton Hotel in Kington until the 1st September. or this month's competition Club members were asked to submit images of a "Musician with an Instrument". Once more Steve Woolley illustrated that he has a keen eye for some of our more exotic street buskers with this fine study of a musician with an... er... instrument. For next month the subject is "Death and Decay", so if you think you can do better then please feel free to bring your images of putrefaction along to our Club meeting at the Burton Hotel in Kington at 7.30pm on Friday the 4th August. New members are always welcome. "Flowers and Plants" may seem like a slightly odd choice of theme for a monochrome photography competition, but this month Club members showed that colour is not everything and that form, texture, tone and contrast in certain subjects can produce great shots. A variety of impactful images were produced, but members agreed that Martin Connolly's superb photograph of a "Queen of the Night" tulip was the best. 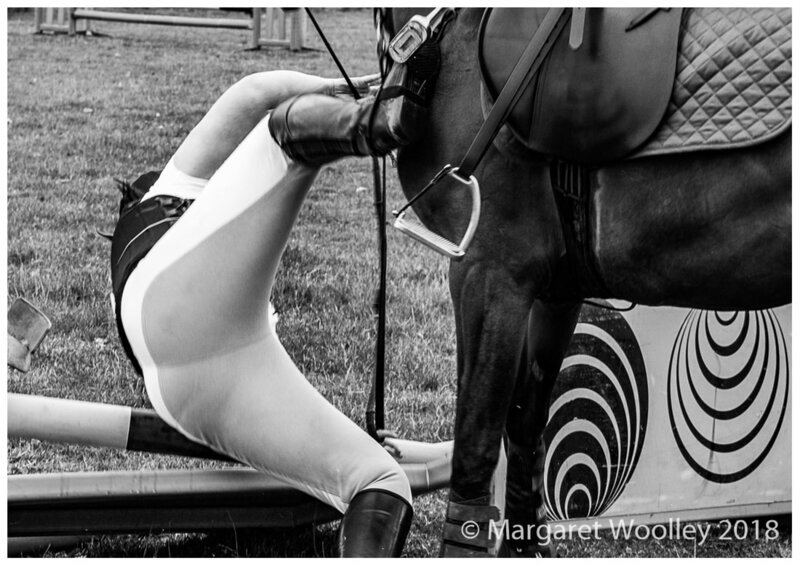 You can see his winning shot and some of the other entries in our Gallery. Club members have also assembled a most interesting and diverse collection of their work for this year's summer exhibition on the theme of "Borders Heritage". The exhibition runs from the 2nd June until the 1st September and can be viewed at the Burton Hotel in Kington. Admission is free and we would really appreciate any comments that visitors may wish to make. We think that visitors to the area will particularly enjoy viewing the exhibition. What with the rather chilly weather at the start of this month it probably didn't seem that unusual to hold a monthly competition with the theme of "Winter Landscape". 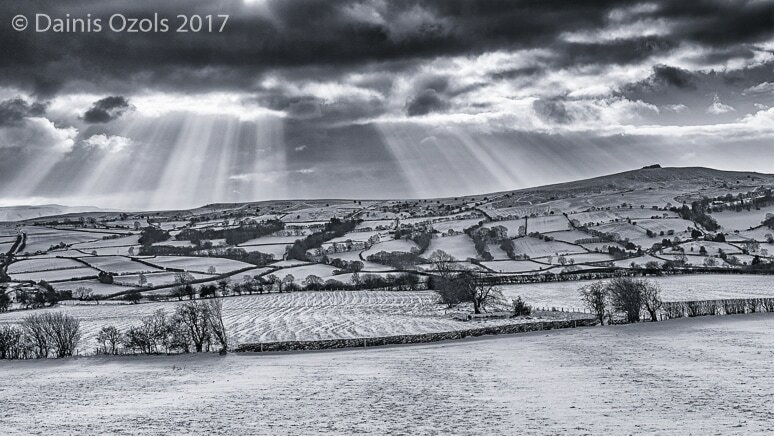 Members responded with a variety of cold, bleak scenes and it was a very close contest that was eventually won with a small margin by Dainis Ozols with his image of the winter sunshine finally appearing over the Begwns hills in Radnorshire. ​You can see other images from this month's contest in our Gallery. ​If you would like to walk on these lovely hills, now in the care of the National Trust, you can find more details here. 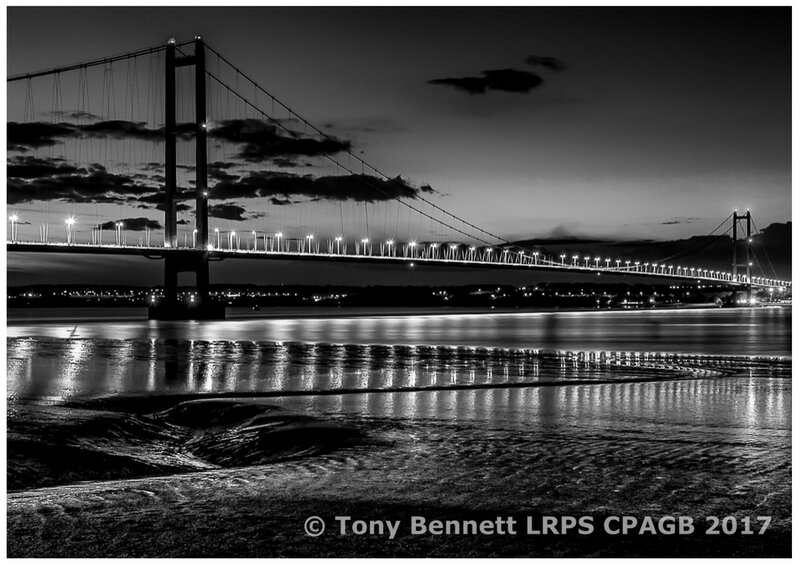 Members responded to this month's competition on the theme of "Reflection" with a range of excellent images, but the clear winner for the second month running was Tony Bennett, whose beautiful shot of the Humber Bridge at dusk was universally admired. You will find most of the other images from this contest in our Gallery. This is a very busy month for Club members, as they prepare images for a range of different external contests, including the new monochrome-only event organised by Cymru Monochrome on the 13th May and which will be contested by over 40 different clubs, the Photofolio held by the Midland Counties Photographic Federation between the 7th and 10th June and the long-standing Cotswold Salon, entries for which close on the 10th May. In June we also hold our annual, friendly "battle" with one of our neighbouring clubs, the Hay Camera Club. As you can see from the photo of the panel of entries, there were some quite delicious-looking samples of Fungi on offer at our monthly competition, as well as a few that you might do well to steer clear of. The top spot this month went to Tony Bennett, whose mushroom that looked a bit like an old bathtub was the runaway winner. Well done Tony, but congratulation to all who took part and came out on a rather wet and windy evening. You will find Tony's winning entry on our Gallery page, as well as a few of the other members' entries. BMCC members will be very busy this month and into next taking images for the many internal and external contests that lie ahead. For monochrome fans in particular these will include the Cotswold Salon and also the major new competition being hosted in May by Cymru Monochrome. We also hope to be holding a few more practical sessions in between our usual monthly meetings and new members will always be made to feel welcome at any of our events. This month's competition with the theme of "Speed" was very well supported and contested by members. The standard of entries was very high, but this did not deter two new members from joining on the night and immediately and taking part. Well done Nick and Martin and we hope you enjoy many more years with the Club. 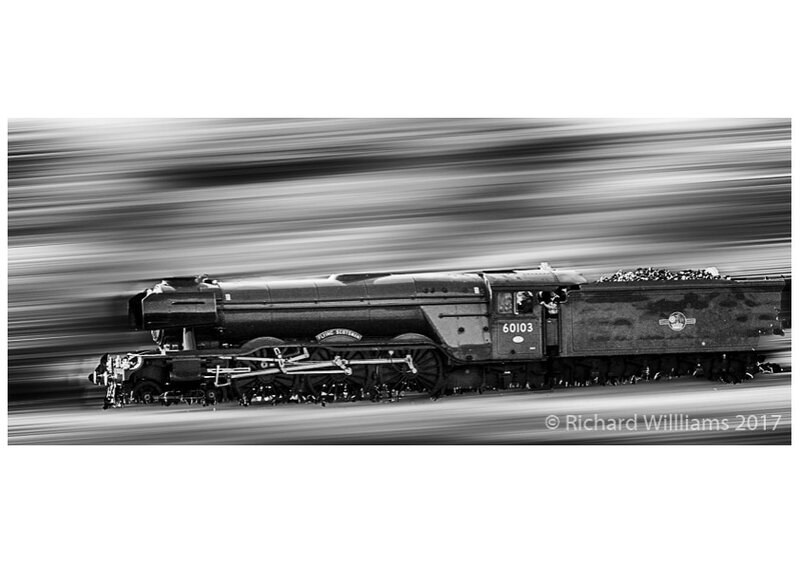 However, there is always a winner and this month it was the turn of Richard Williams, whose super print of a speeding locomotive earned him universal praise. I suspect there is more to this print than meets the eye, but it is clever and inventive and is typical of the original work that some of our newer members are now producing. ​As always, you will find many of the other monthly entries in our Gallery. BMCC members enjoyed their annual Christmas dinner at the Boat Inn at Whitney in December, when the Print of the Year award adjudicated by an external judge was also awarded to Stephen Woolley for his excellent image of a busker (left). Stephen's winning run has continued into the New Year too, as he also took first place in our monthly competition this month on the subject of "Glass" with his fine image of Birmingham New Street Station. Please see the Gallery for his and other members' entries. ​BMCC members held a successful AGM this month and have decided on a number of changes to our monthly programme. Please do continue to check this site for updates. New members are always most welcome. To raise awareness of our summer exhibition at the Burton Hotel in Kington this year, we decided to hold a competition for visitors to the exhibition. Viewers were asked to vote for their favourite print and at the conclusion of the exhibition the name of one of those who had voted for the most popular print was drawn from a hat and the winner was presented with a copy of the same print. The image to the right shows winner Paul Woodhead holding his prize, a super night scene by member Tony Bennett. Well done Paul. The Club will hold another summer exhibition between June and September in 2017, when the theme will be "Borders Heritage". We remain indebted to the management of the Burton Hotel for allowing us to show our work to the general public. Congratulations to Antony Williams for winning this month's Club competition on the theme of a "Book or Film Title". Antony only joined the Club earlier this year and has obviously made the most of rubbing shoulders with some of the finest monochrome photographers in Herefordshire! We shall leave you to work out what the title of his winning image is. ​Next year's Club programme has now been finalised and you will find details of our regular events and both internal and external competitions on the Meetings page. We would like to take this opportunity to wish all our members, supporters and other friends in the Borders area and in the wider photographic world a very Happy Christmas and a prosperous New Year. Most people seem to agree that this has been a terrific Autumn so far with almost unprecedented fine, dry weather in the Borders area. This may have accounted for the very strong entry in this month's competition, when the theme of "Autumn" attracted a wide variety of skilful interpretations. Richard Williams' lovely image of autumn leaves (opposite) was rightly selected by other members as this month's winning entry and shows what can be achieved in your own back garden with just a little imagination. You will find some of the other entries on our Gallery page. As we approach the end of the year a programme for 2017 is already being finalised and full details will be published soon. An AGM will be held at our first meeting on Friday 6th January and it has already been agreed that the theme of next year's summer exhibition will be "Borders Heritage". This month saw yet another win for member Stephen Woolley in the Club competition, which was on the subject of Long Exposure. 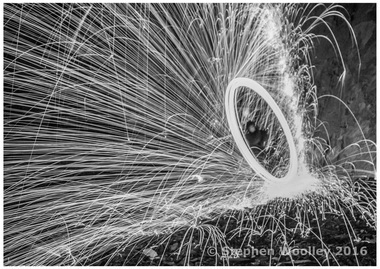 The images chosen by other members to represent this popular subject were very varied, but there was unanimous approval for Stephen's excellent photo involving burning wire wool and string. His shot, entitled "Flying Sparks" was very well thought out and executed. Stephen had already taken first place in September with his terrific image "Smoke" that beautifully represented the subject of Curves. For that photo and many others please see the Gallery. Congratulations to veteran BMCC member Clive Clarke for submitting yet another successful entry to this year's Cotswold Salon, organised as always by Cotswold Monochrome. Clive's entry "Life in Death Valley" was Highly Commended by the Salon judges. 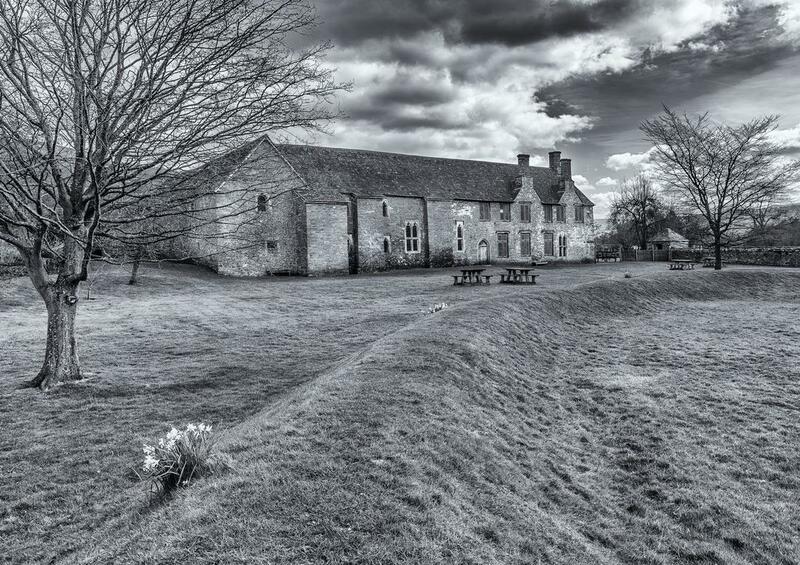 The Cotswold Salon was first run in 1995, and has gone from strength to strength to become a popular exhibition for monochrome photographers in the United Kingdom. It is run under the Photographic Alliance of Great Britain rules and forms part of the British Photographic Exhibitions circuit. The Salon has changed over the years to cater for modern photographic methods and now caters for silver and digitally produced prints. Entries are normally submitted by May and the best prints are usually exhibited in Gloucester in late July. A total of ten Club members produced a very wide variety of images for this month's competition, which was on the theme of "Water". Members drew inspiration from a wide variety of subjects, many of which you can now view on our Gallery page. 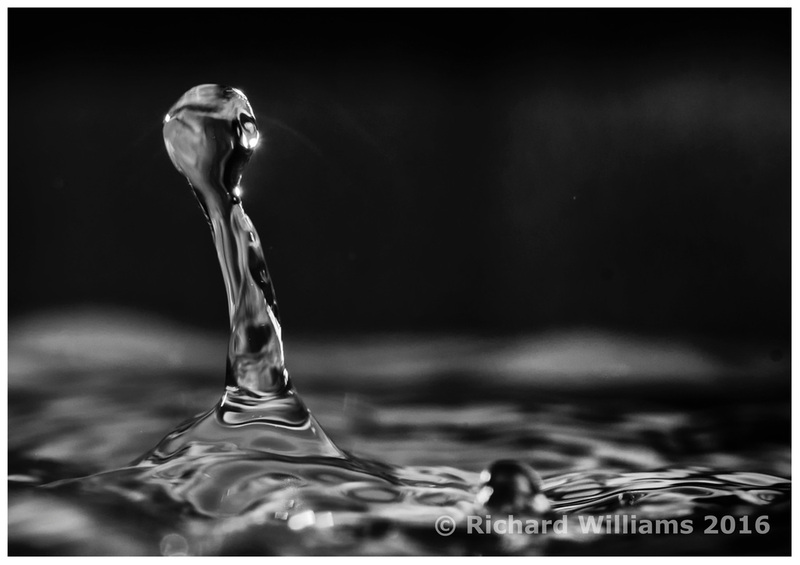 However, by a considerable margin the winning entry was once again submitted by Richard Williams, who very skilfully took this lovely study of a water drop. Well done Richard. You can view the three top entries from this competition in the bar of the Burton Hotel in Kington, Herefordshire. While you are there don't forget to visit our summer exhibition that will remain in situ there until the 2nd September. On that same day the Club will also hold its next monthly competition for members, which will be on the subject of "Curves". If you would like to come along and meet us please get there for about 7.30pm and just ask at Reception. It was a lucky deal again for member Tony Bennett when he won this month's competition on the subject of "Portrait". His image "The Card Sharp" can be seen in our Gallery and came top in a very close contest of nine entries. Well done to all for coming out on the same evening that Wales were playing Belgium in the quarter-finals of the European Championships. Congratulations to Richard Williams for winning this month's competition on the subject of Churches with his excellent image of All Saints Church in Brockhampton. There were eight entries in all and we hope to reproduce some of these in our Gallery in due course. If you have never visited this particular church please do try to make the effort, as it is a wonderful example of the Arts and Crafts style and set in beautiful countryside. 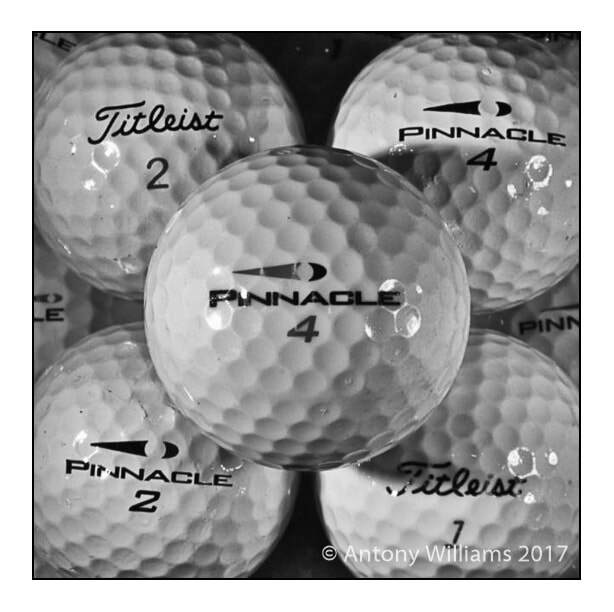 Over the last few months our Club has seen a dramatic increase in its membership, especially in the form of many younger photographers wanting to learn more about monochrome photography and printing techniques. From the 4th June 2016 the Club will host its annual summer exhibition of members’ work at the Burton Hotel, Kington, Herefordshire, where visitors will be able to view a wide selection of prints. The exhibition will run until the 2nd September. BMCC member Tony Bennett won this month's competition on the subject of "Landscapes" with his superb image of sand dunes at Luskentyre Beach, Isle of Harris. Twelve members entered prints for the contest, which was an excellent response. The subject for June is "Churches", so that should be a well-contested event too. New members are always welcome at our meetings. Tony's success comes as no surprise, as he was UK Landscape Photographer of the Year in 2013. You can see more of his work on his own web site: Inspirational Images. His winning image of Luskentyre Beach can be viewed in our Gallery.